Europe is in a crisis. Capitalism’s contradictions resulted in a new world economic crisis that exploded in 2008. Governments have bailed out banks and have protected the rich and transnational corporations, while the mass of people has faced hyper-neoliberalism and austerity. The Troika of the European Commission, the IMF and the European Central Bank have under German conduct abandoned Europe’s weakest link Greece by refusing a debt haircut, prolonging the country’s socio-economic crisis without an end in sight, and casting doubt on the existence of solidarity in Europe. Wars and crises have resulted in refugees fleeing their home countries. Europe has failed to respond in a co-ordinated manner. Countries have blamed each other and answered with erecting borders, quotas, and fostering racism and nationalism. On the one side, new progressive movements and parties have emerged. But on the other side, a stronger tendency has been the political manifestation of nationalism, racism, authoritarianism, separatism, right-wing extremism, elements of fascism, spirals of violence, and ideological fundamentalisms. The world system’s violent political mood could be the prelude to the next world war. 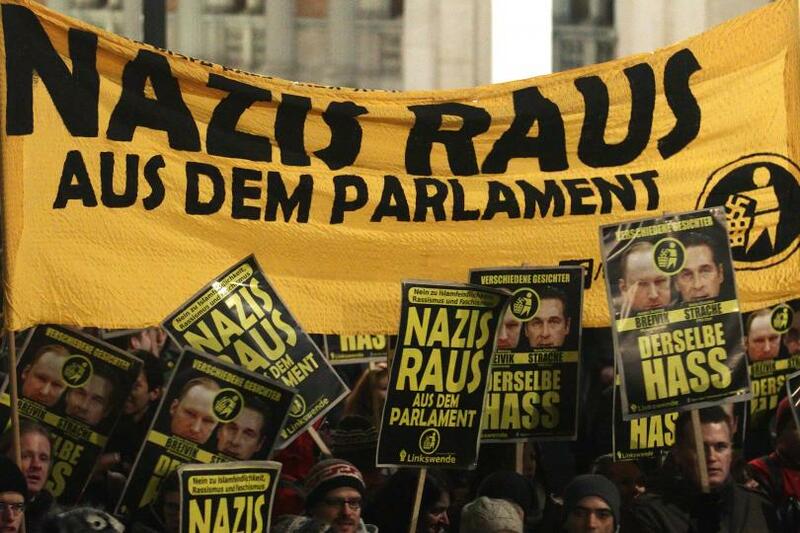 In recent years, the far-right has been strengthened in many parts of the world. The strong performance of the Freedom Party (FPÖ)’s candidate Norbert Hofer in the 2016 Austrian presidential election is one of the most recent examples. Is it just an accident that it is Austria, where 2.22 million voters cast their ballot in the second round for the far-right so that its candidate achieved 49.3% of the vote? Could such a political agreement to the far-right have also taken place in another European country because of the ongoing crisis? In 1986, Kurt Waldheim, member of the Nazi Sturmabteilung (SA) during the Second World War, became Austria’s President. In 1999, Jörg Haider’s leadership of the FPÖ culminated in the party achieving 26.91% in the Austrian general election. The FPÖ became the junior partner in a coalition government led by the Conservative Austrian People’s Party (ÖVP). After the FPÖ’s split into two parties and Jörg Haider’s death in 2008, Heinz Christian Strache became the new leading figure of Austria’s far-right. According to polls, 34% of the voters would cast their ballot for the FPÖ if there were general elections in Austria today. The FPÖ would become the strongest party. These examples show that Hofer’s result in the Presidential election is not an exception. Why has the far-right especially in Austria been so strong? There are several dimensions. The first dimension has to do with an incomplete Denazification process. Austria’s Second Republic that was created after the Second World War is founded on the myth that Austria was Hitler’s first victim, which resulted in its incomplete Denazification. Far-right ideology could thereby continue to exist. The victim myth can also be found in the Austrian State Treaty that established Austria’s sovereignty as an independent state. It claims that “on 13th March, 1938, Hitlerite Germany annexed Austria byforce and incorporated its territory in the German Reich”. But in fact in the April 1938 Referendum, 99.73% of the voters opted for Austria becoming part of the German Reich and there was a voter turnout of 99.71%. The Austrian population overwhelmingly welcomed the country’s unification with Germany. Austria was not Hitler’s victim. Austrians played a very active role in the Nazi regime. Today, there is a wide-spread political tendency that Austrians continuously see themselves as victims of foreign forces and do not want to see that Austrian right-wing extremism has to do with anti-democratic tendencies in the country itself. A second dimension is Austrian nationalism. Austria’s status as a small country in Europe that was a former super-power and now often stands in the shadow of Germany has resulted in a schizophrenic national identity. Identity building of in-groups often makes use of the negative definition of out-groups. In Austria, this political schizophrenia tends to be expressed by nationalists in the form of an Us vs. Them-ideology that lacks the capacity of self-criticism and in situations of political crisis blames Europe, immigrants, the USA, Jews, socialists, liberals, everything foreign („das Ausland“), etc. Linguistically, this repressive nationalist inwardness and isolationism is known as the „Mia san Mia” (“We are We”) worldview that opposes Austrian patriots to imagined foreign enemies and what this ideology terms „Vaterlandsvernaderer” (=Denouncers of the Fatherland, traitors) or „Nestbeschmutzer“ (=Denigrators/defilers of their own nest/country). Third, Austrian Neoliberalism plays a role. In the 1970s, Austria was one of the world’s leading welfare democracies. The rise of neoliberalism has also in Austria shifted Social Democracy towards the right. Right-wing populists have used citizens’ fears of social decline and projected them into racist ideology. Many citizens, who traditionally identified with Social Democracy, have felt that this party no longer represents the interests of ordinary people and therefore looked for alternatives. The FPÖ presented itself as such an alternative, as a party that listens to the fears of ordinary people. It tries to project the population’s fears of social decline into the construction of immigrants as scapegoats. Right-wing media form the fourth dimension. Austria has one of the world’s most highly concentrated media system. The right-wing Kronen Zeitung in 2005 had around 3 million readers, which means a reach of almost 45%. In 2015, its reach was 32.0%. The Kronen Zeitung has since a long time supported the FPÖ and practiced anti-immigrant rhetoric. An example: On May 4, 2016, 18 days before the Presidential election’s second round, one of the Kronen Zeitung’s headlines read: “Female passer-by battered to death in Vienna. Kenyan arrested” („Passantin in Wien erschlagen: Kenianer verhaftet“). One day later, the right-wing tabloid reported under the headline “Iron rod-murder: What Hofer writes to the victim” („Eisenstangen-Mord: Das schreibt Hofer an das Opfer“) that Hofer posted on Facebook “Dear Maria! All of Austria thinks of you. Rest in peace” („Liebe Maria! Ganz Österreich denkt an Dich. Ruhe in Frieden”). The newspaper writes that Hofer was a friend of the victim, that the perpetrator was “a 21-year old Kenyan, who stays illegally in Austria” („21-jährigenKenianer, der sich illegal in Österreich aufhält”), and that the FPÖ demands the deportation of criminal foreigners. The report associates the perpetrator with being black, an African, illegal and criminal. It also associates the victim with Hofer, compassion and the FPÖ. A dichotomy is thereby constructed that communicates the generalised claim that Africans are illegal and criminals and that the FPÖ’s candidate will do something against it. The institutional containment of class struggle is the fifth dimension. Austria’s political system is based on a consensus culture and consociationalism: In industrial policy, there is a social partnership (Sozialpartnerschaft) between the organised representatives of capital and labour that negotiates compromises on wages and working conditions. As a result, Austria has hardly seen strikes since 1945. Class struggles have remained contained. Long-term containment of class struggles can explode into the wrong direction and be turned against scapegoats such as immigrants. The Austrian class system has undergone changes so that a new middle class has emerged and the blue-collar working class has decreased in numbers, which has strengthened blue-collar labour’s fears of social decline. The weakness of the Austrian political left is the sixth dimension. The political left has in Austria been traditionally very weak, which has to do with the containment of class struggle and the fact that during the time of the Cold War, Stalinism was widely spread in the Austrian left, but unappealing to ordinary citizens. Given a weak left, it is easier for the far-right to strive. The low level of general education in Austria is the seventh dimension. According to a study of the Austrian federal election 2013, where the FPÖ achieved 20.5% of the vote, it was the strongest party among men (28%), blue-collar workers (33%), those aged 16-29 (22%), and those whose highest educational attainment is a polytechnic school (35%, = a one-year practical education that prepares pupils at the age of 14 for starting an apprenticeship). The typical FPÖ voter is a young, male blue-collar worker with a low level of education. In 2014, the EU-wide average share of those who were aged 25 or above and held at least a bachelor’s degree, was 22.3%. Austria had with 12.25% the lowest share of all 22 EU countries, for which data is available. In Austria, there has been a long-standing political debate about the abolishment of the Hauptschule (secondary modern school). Secondary school is a dual system in Austria: Pupils aged 10-13 have to decide if they either attend grammar school (the so-called Gymnasium) or secondary modern school. Often this choice is one that has to do with the children’s family and class background. There is a tendency that especially children from lower-income families attend secondary modern school and that those attending the Gymnasium are much more likely to later attend university. Austrian Social Democrats and Greens tend to criticise that the dual secondary school system fosters an educational gap, whereas Austrian Conservatives paint fears of the end and decline of education, if a combined secondary school system for all children aged 10-14 were introduced. Austria’s dual secondary school system is one of the reasons why the level of higher education is very low in the population. A reform has resulted in the step-wise transition of secondary modern schools into new middle schools (neue Mittelschule) that use new forms of teaching and learning. But the basic distinction between the Gymnasium and a less demanding type of secondary school has not been abolished. There is a relationship between parents’ class and educational status and the educational achievements of their children. Austria’s dual secondary education system not only creates educational gaps and is a system divided by social class, but can also contribute to the prevalence of political support for far-right movements. Education is one of the factors that influences political worldviews. In the 2016 Presidential election, such divisions of the social structure of voters became evident: In the second round, 60% of the men voted for Hofer, but only 40% of the women. 86% of the blue-collar workers supported Hofer, whereas 60% of the white-collar workers voted for the Green candidate Alexander van der Bellen. 55% of those who only completed compulsory education cast their vote for Hofer. The same can be said about 67% of those who completed apprenticeships and about 58% of those whose highest educational attainment is the completion of a vocational school (berufsbildendemittlereSchule, BMS). In contrast, 73% of those who have passed school leaving examinations and 81% of the university-educated voters opted for van der Bellen. Class and education are key influencing factors on voting behaviour in Austria. The Austrian patronage system is the eighth dimension. 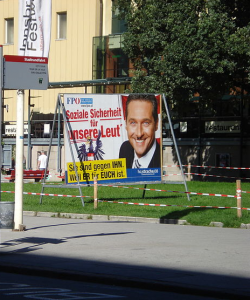 In the Austrian political system, the Conservative Party ÖVP traditionally represented capital and farmers, and the Social Democratic Party SPÖ represented labour. A particular system of clientelism, called the Proporzsytem (patronage system), developed, in which the ÖVP and the SPÖ divided power. Getting and keeping the job one wants to hold, has often been a question of party membership and having the right kind of political connections. There is even a term in everyday language that characterises the specific Austrian system of patronage: Parteibuchwirtschaft (party book economy). It is therefore no accident that in Austria, the population’s relative level of party membership is the highest in Europe: A study showed that whereas the average share of political party members in the total electorate was 4.7% in the European Union, this ratio was 17.27% in Austria in the year 2008. In 1980, the share was around 28.5% in Austria. The existence of Austrian clientelism has political reasons: Both the Social Democrats and the Conservatives have seen it as a way of avoiding a repetition of the military conflict and civil war between conservative and socialist forces in the 1920s and early 1930s and as a means for containing the power of the far-right. The FPÖ has presented itself over the decades as the one force that can end the Proporz-system’s dual concentration of power in the hands of the Conservatives and the Social Democrats. The interaction of these eight factors has over the decades again and again resulted in electoral successes of the FPÖ. Economic and political crises in Europe and the world do not determine the strength of far-right movements, but have in political history often been important contexts of its popularity and support. 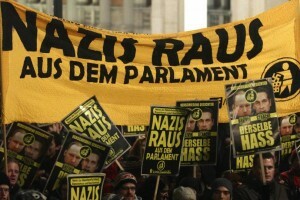 The political and economic crisis of Europe is certainly one important context of the rise of the far-right in Europe. Right-wingers manage to not just present immigrants, but also the European Union as a scapegoat for social problems that have to do with the development of capitalism. The EU is predominantly an economic union that has failed to advance European-wide social policies. It has democratic deficits. It has simply watched the refugee crisis and has not found a humane solution, which has spurred the dangerous rise of nationalism and racism all over Europe. The Troika of the European Commission, the European Central Bank and the International Monetary Fund have under Germany’s leadership enacted draconian austerity measures on Greece that overrule the democratic will of the Greek people. But in this situation, it is the wrong conclusion to argue for breaking up the European Union or for a Lexit. Doing so turns one into a strange bedfellow of far-right forces that want to strengthen nationalism and racism. The EU is not the cause of specific political and social problem. It is not an immutable thing, but a political arrangement that regulates European capitalism and European societies and has flexible political power relations determined by electorates. The EU has become a peculiar object of political fetishism: Right-wing pro-EU forces argue it is the harbinger of economic growth and jobs. Right-wing anti-EU advocates see the EU as destroying jobs and fostering crime, terrorism and mass migration. Left-wing anti-EU forces see the EU as inherently neoliberal, racist and undemocratic. They in a surprising manner seem to revive Stalin’s concept of socialism in one country, albeit in the context of a highly global world. Slavoj Žižek stresses in this context that “socialist nationalism is not the right way to fight the threat of national socialism”. Left-wing pro-EU forces argue that the EU secures peace as well as the protection of the rights of workers, consumers and users. Political fetishism naturalises and reifies political phenomena by treating them as fixed, immutable, unchangeable, and thing-like entities. The EU’s policies are the outcome of the relationship of political forces in Europe. If EU citizens support neoliberal and right-wing governments in the majority of the member countries and the European Parliament, then the outcome will be right-wing policies not just at the national, but also the European level. The key question about the European Union is if we want to have transnational political institutions or confine politics and citizenship to the nation state. If progressive forces come to power in a large enough number of member states, then even under the current structures of the European Union (that are imperfect and in need of democratic reforms), it is possible to bring about a rapid turn against neoliberalism, austerity, the financial destruction of Greece by fiscal policies and austerity targets, racist refugee politics, etc. Political fetishism overlooks that humans can alter the form and content of policies by changing the balance of the forces in power. The key struggle to be fought in all countries and at the European and global level is one for the strengthening of the political left, for a social Europe and a social world. Political fetishism projects social problems into specific policies and thereby overlooks that the underlying issues have to do with the development of capitalism and that the balance of political forces is changeable. The flourishing of the far-right always has to do with the weakness of left-wing forces. If the left fails, is weak, or becomes bourgeoisified, then it becomes easier for the far-right to present itself as the political representative of ordinary citizens who are not part of the economic or political elite. In Europe, political bourgeoisification includes the fact that social democracy has surrendered to capitalism and neoliberalism. Social democracy is in urgent need of a renewal. We need to reinvent democratic socialism in the 21st century. True internationalism can today not mean to revert back to the politics of the nation state, but can only be the struggle for the simultaneous strengthening of socialism at the national, transnational and global level. 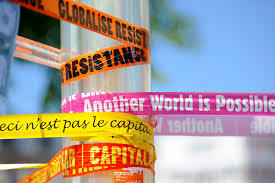 Only a network of left-wing governments supported by strong grassroots movements could make a true difference in a world, in which the economic and political systems are highly interdependent and networked. The result of the commodification of the economy and the Haiderisation of politics has been a sustained economic and political crisis of the world system. 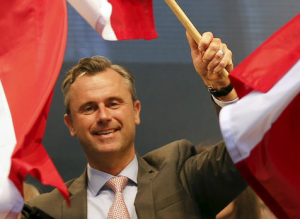 The FPÖ in Austria is one of the far-right’s cell forms. What Ruth Wodak terms the Haiderisation of Europe and the world can only be stopped by the creation of a social Europe and a social world. Christian Fuchs is a professor at the University of Westminster. He is Director of the Westminster Institute for Advanced Studies as well as Director of the Communication and Media Research Institute. He is editor of the open access journal tripleC: Communication, Capitalism & Critique, an executive board member of the European Sociological Association, and programme chair of the 2017 European Sociology Conference “(Un)Making Europe: Capitalism, Solidarities, Subjectivities”. His research focuses on the critical theory of society and the critical theory of communication, communications, the media, culture, the Internet and social/digital media. This entry was posted in Austria, EU ref, Euroscepticism, Nationalism and tagged austerity, Euroscepticism, far-right, Neoliberalism, Socialism. Bookmark the permalink.